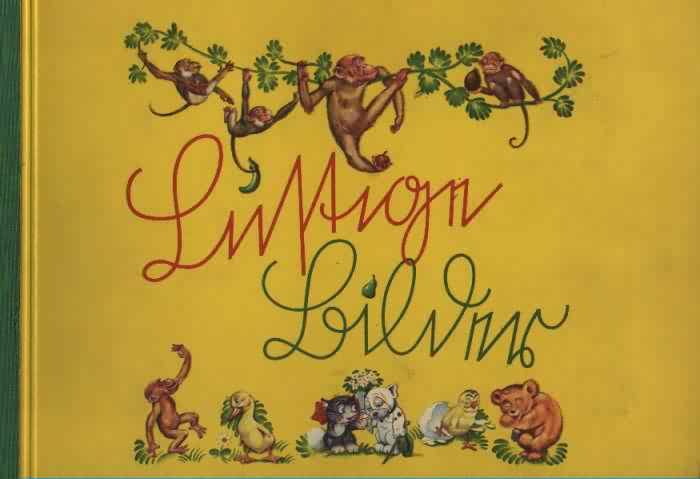 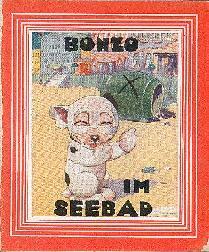 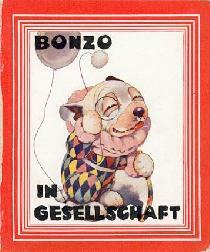 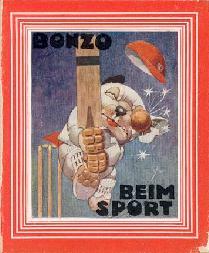 Several series of small books were published in German by the Artur Wolf Verlag company in Vienna, Austria. 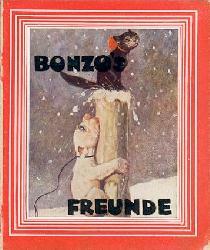 All books were credited as being written by G.E.Studdy & George Jellicoe and translated into German by Helga Kundt, though it appears that the translations are quite loose, and were probably greatly adapted from the originals. 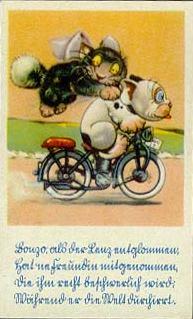 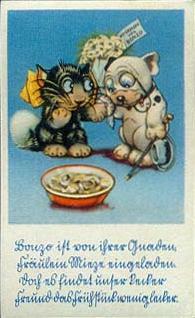 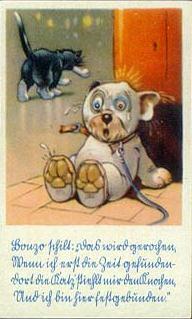 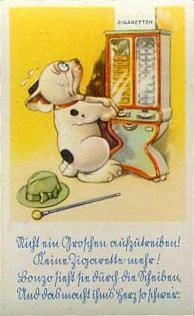 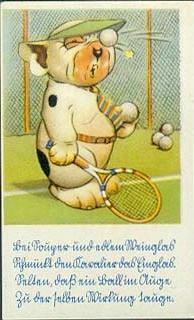 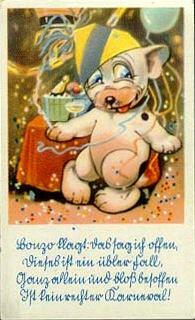 Several German Tobacco companies also issued a series of trade cards under the title "Lustige Bilder" or "Funny Pictures". 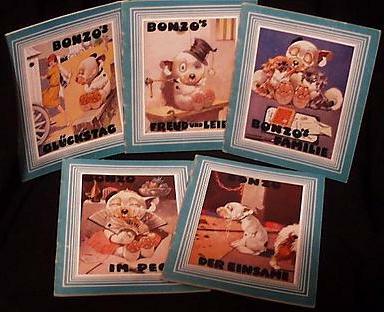 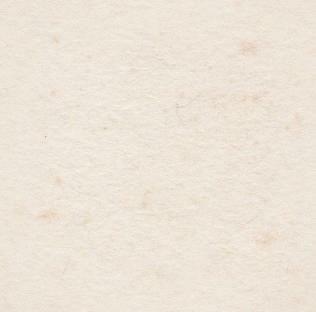 They varied in size and were designed to be pasted into albums also issued by the companies. 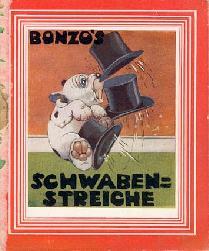 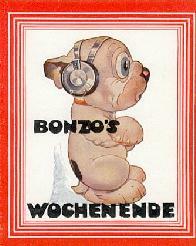 The images were by both Studdy (Bonzo) and Lawson Wood (mostly featuring a Gran'pops ape).